These are unaltered versions of scanned images of originals presented in apparent chronological order. Go here for versions that have been altered to lighten them and improve the contrast. Click on the bookmarks below to be taken to that photo. 1. 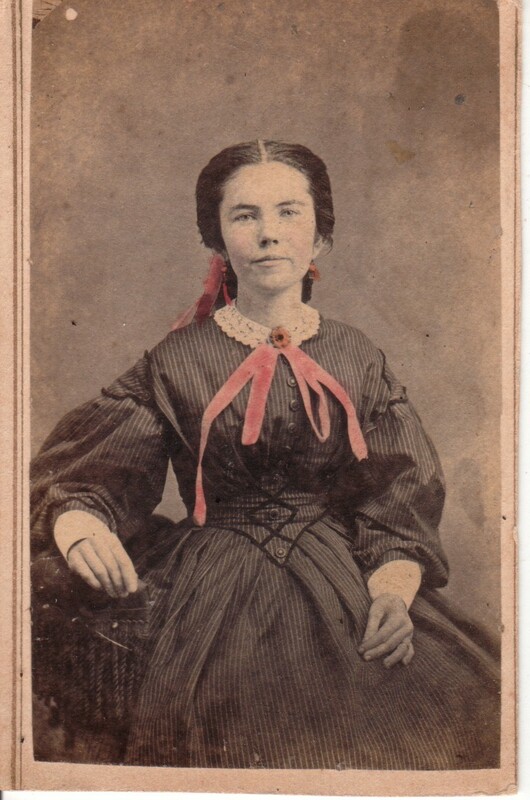 This is a photo of a young woman who appears to be Caroline Virginia nee Pae. 2. 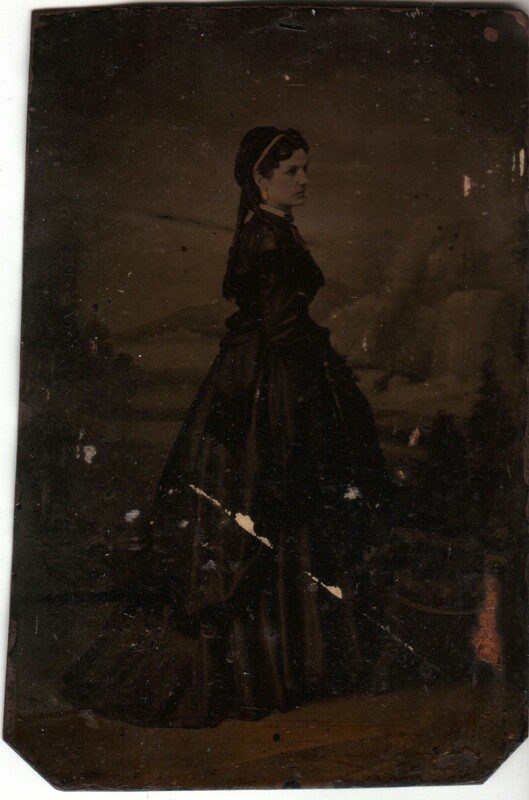 This is another photo of a young woman who appears to be Caroline Virginia nee Pae. 3. 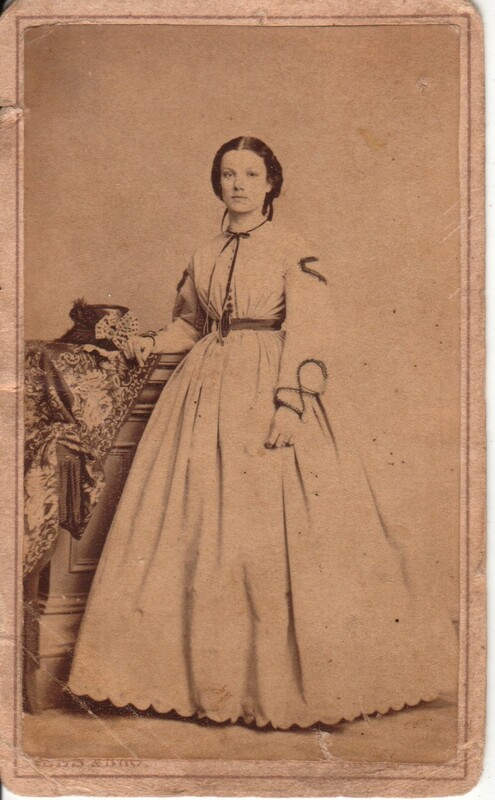 This photo was specifically identified to me as being of Caroline Virginia nee Pae Rudge. It appears to have been taken before she married. 4. 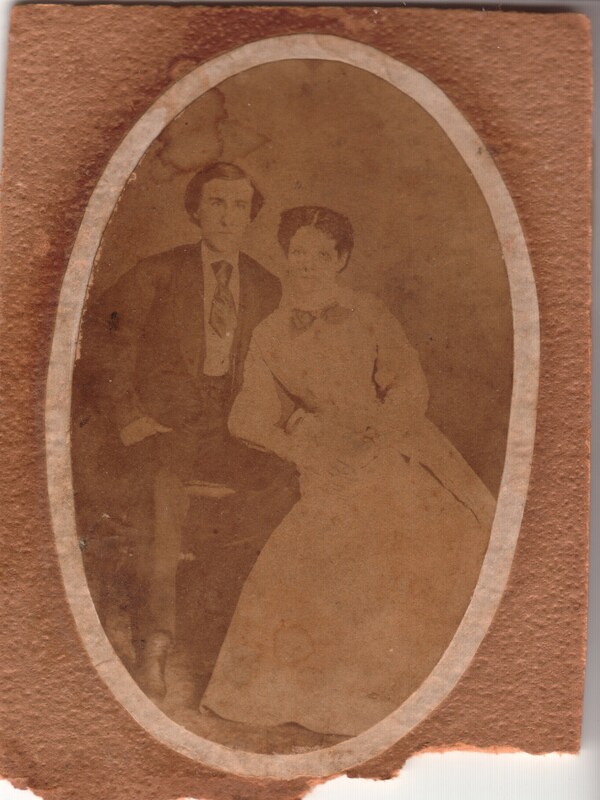 This photo was specifically identified to me as being of John William Rudge and his wife Caroline Virginia nee Pae. It could be a picture taken on the day of their wedding, 11 Oct 1870, which took place at her father 's home in Wilmington, New Hanover Co., North Carolina..
5. 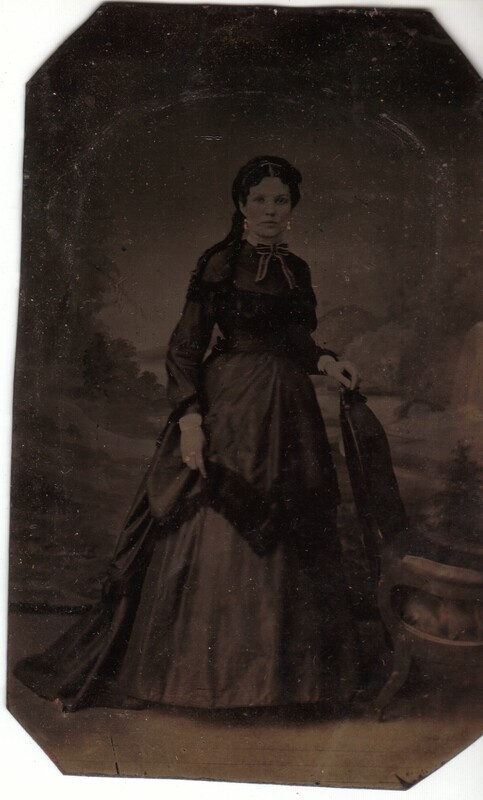 This photo appears to be one of Caroline Virginia nee Pae Rudge. It was probably taken around the date of her marriage ca. 1870. 6. 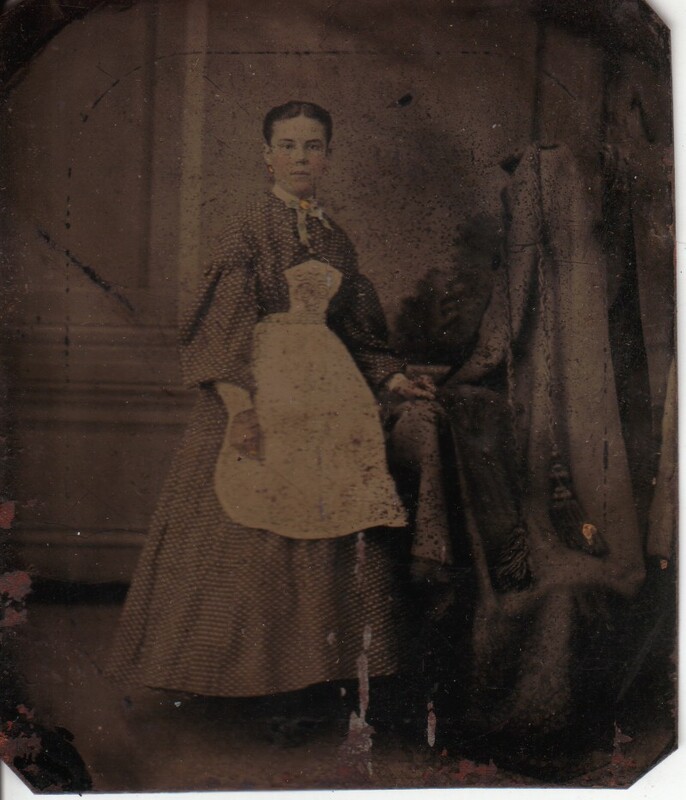 This photo appears to be another one of Caroline Virginia nee Pae Rudge. It was probably taken around the date of her marriage ca. 1870. 7. 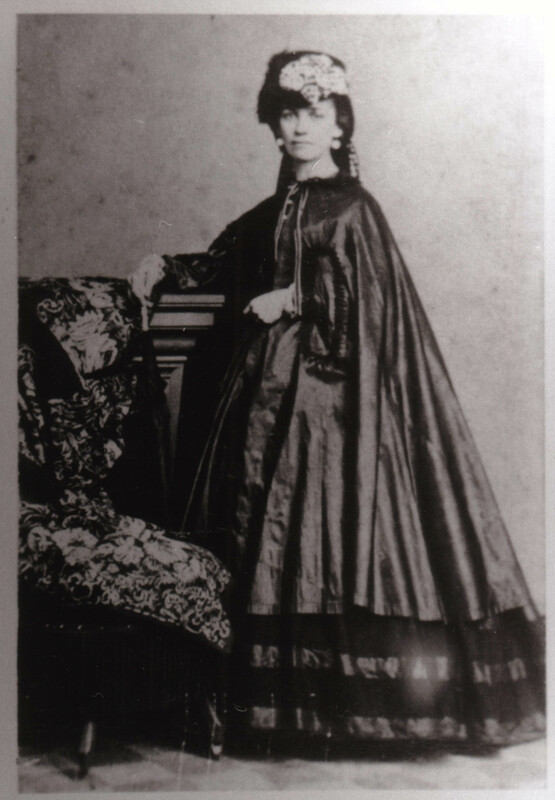 This photo appears to be another one of Caroline Virginia nee Pae Rudge. It was probably taken around the date of her marriage ca. 1870. 8. 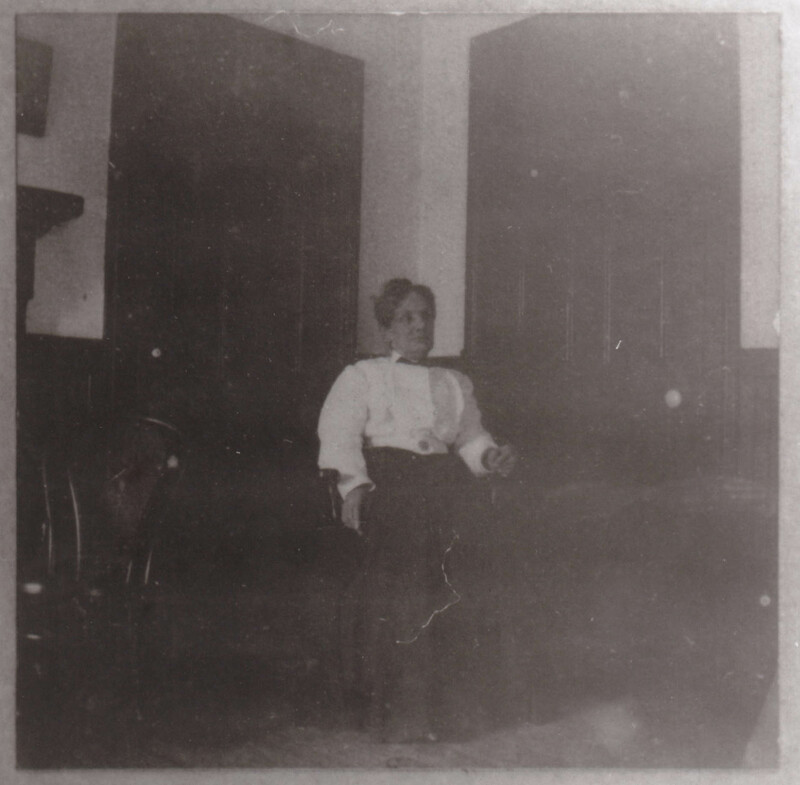 This photo appears to be another one of Caroline Virginia nee Pae Rudge taken when she was older. 9. 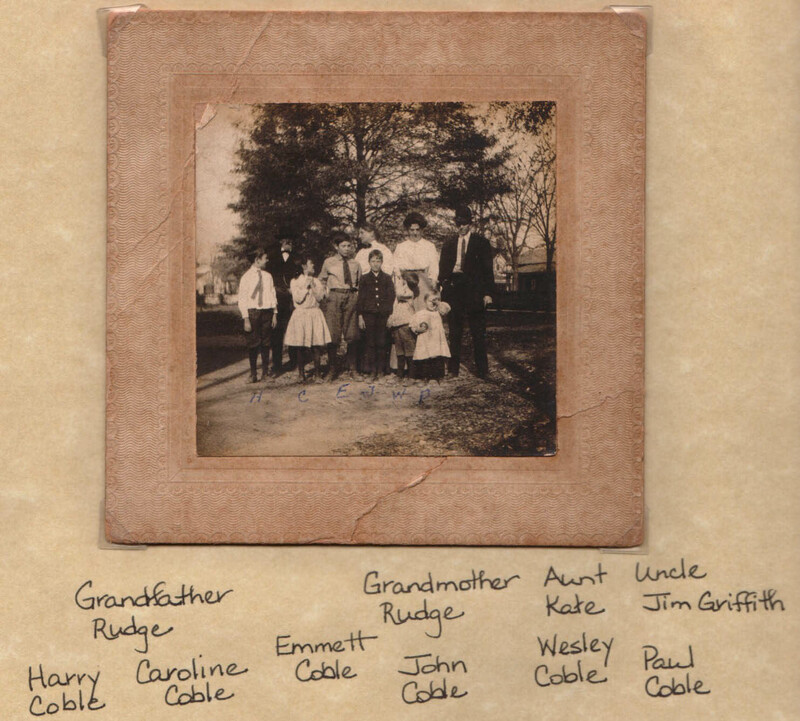 This next photo is a shot of Caroline Virginia nee Pae Rudge, her husband John William Rudge and five of their grandchildren by her daughter, Carrie Virginia nee Rudge Coble. If Paul Coble, the youngest child, was about two years old at the time, then this photo was probably taken ca. 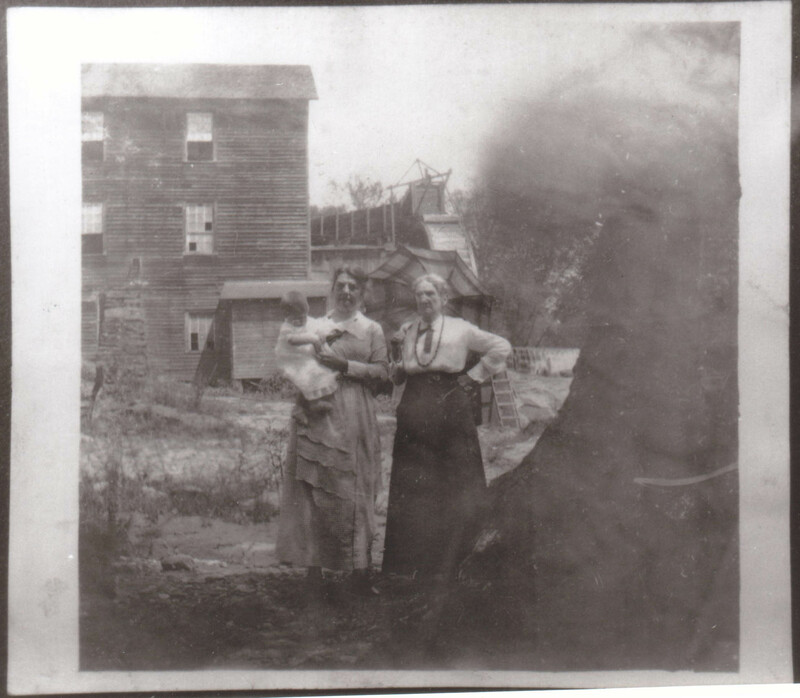 1909 in Monroe, Union Co. NC. 10. This last photo appears to be one of Caroline Virginia nee Pae Rudge and her daughter Kate nee Rudge Griffith holding a small child.